Discussion in 'Latest Chapter Discussion' started by akki, Jul 21, 2018. Seen this novel being translated recently and decide to start it today. It’s got the beautiful CEO and powerful bodyguard, and looks okay so far. I hope the romance is done well in this. MeeJeeNovels and Wujigege like this. I’m just on chapter 13 now. So far it’s okay. At least enough for me to keep reading it. I’m enjoying it. And there have been female characters that have been introduced. It’s got romance genre but no harem genre or tag so I can’t comment on that. Maybe @MeeJeeNovels can answer that question. Is this the same as all the other "soldier kings returns home" genre of novels? Story begins like any other "soldier king returns home", "mercenary", "bodyguard" genre of novels. MC's Name is Ye Fei (叶飞). And why do I mention this? 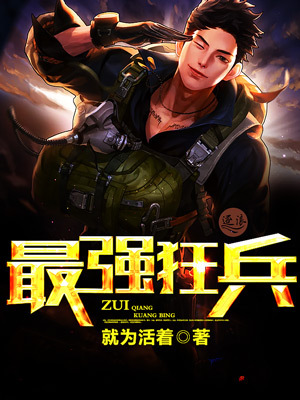 It's because there's like 5+ of these Novels that have the same/similar title "兵王归来" and they usually begin with stuff "like story starts with successful rescue of hostages from hijackers" and/or "being employed by an Ice-beauty Female CEO as a bodyguard". All signs point to an early cancellation/termination to the publishing of the novel because the more successful ones of this genre actually exceeds 3,000+ chapters. So this means that the storyline has progression/continuation and low readership issues. MC really starts out weak compared to other Novels. Read spoilers below why I think the story is weak and depressing and whether or not it's a harem. Because MC is in an extremely bad starting position that he has to even consider selling away his "signature" weaponry and doesn't really have any wealth, army or political influence of his own. And story continues without much significant progress to his economical and political influence to shape his own destiny or the world. Only his cultivation increases along the way but it isn't enough to change stuff. And yes the story doesn't have a Harem tag because MC aims for only one girl Zhong Mei (钟梅) whose real identity is Dugu Mei (独孤梅), daughter of Clan Chieftain of the Dugu Swordsclan. And we don't even know whether he gets a happy ending with her... Read on. MC finds out that the main villain is Dugu Lie (独孤烈) who has a Senior position and alot of influence within the Dugu Swordsclan and basically is the mastermind behind framing/wiping out MC's Falcon special taskforce group in the beginning of the storyline. What's worse is that by the end of the final chapter, MC only manages to kill 2 of Dugu Lie's underlings and is forced to sever all ties with his current life and give up his real identity to infiltrate the Dugu Swordsclan, even though his primary aim is to be with Zhong Mei aka Dugu Mei. And then the novel ends. In a way, it seems that MC has betrayed his own personal beliefs and possibly his home country and doesn't really see any light of hope in his seemingly futile mission. @MeeJeeNovels Maybe you would want to take a look at adopting https://www.novelupdates.com/series/the-strongest-violent-soldier/, I feel that it's a better Novel and the previous translators went AWOL/inactive. Slayerwolfx2 and mumfie like this. Read spoilers below why I think the story is weak and depressing. Chapter 66: this mc is kinda stupid. Yes he can beat up anyone who comes at him but why bother? What’s the point of unnecessarily causing trouble for himself? He did it at the hospital when them accident victim’s family were there. Now with this basketball thing he’s at it again. I get the guys words anger him but isn’t he supposed to be there as manager lin’s bodyguard. He should be acting with that in mind. He should at least be thinking along the lines of I better not cause any troubles that could hinder me from doing my duties. Like attacking students and getting banned from the university. "Violence is the best deterrence"
tropes that are prevalent in conflict driven CN Novels. It's a double edge sword, if author can convince the readers that it's a calculated gamble that pays off, then it's good. Otherwise, readership just plummets because most readers dislike a psychotic, berserker, all brawns but no brain MC. Hey, so technically it's not harem in the sense that it's not polygamous. Though he does have several love interests, so it is harem in that sense, but very subtly. I like to think of him as a bit of a modern handsome guy that dates around. There is an issue with the MC being overtly aggressive when he feels the self righteous need to teach people a lesson, we're slowly learning why he's doing this as far as plot advancement goes, but it does feel odd when he loses his temper. I like to think that he's just so scarred by how bad people can become when behavior like this is not stopped permanently, that he excuses his violent actions. I just wanna say thank you to everyone, Akki in particular, for checking out the story and supporting us by reading it on our site. We're always open to honest critique of our stories, suggestions, questions and comments! Chapter 70: mc says I’ve never been to school before and then he solves this complex maths problem....bet Du Wenxing feels embarrassed when he finds out mc solved it. If 14 is an incorrect answer then how does Du Wenxing get half points? Does the teacher mean he got points for answering the first question and none for the second so half points overall or he actually got half points for the second question? With a sharp tearing sound, Boss Hu's trousers ripped at the crotch, revealing his red underpants embroidered with the character for ‘blessing’. MeeJeeNovels and Ericthecleric like this. Chapter 83: all these poor students who are struggling. Is there no other school that would be financially better for them to go to? And c’mon is it the fair class monitor who stole the money? Chapter 86: WTF?!?! What kind of twist is this? Out of all the reasons for the theft I didn't see it blowing up like that with a case full of stolen stuff. And a half eaten apple? why she stealing that? Wonder what the reason behind this kleptomania is? Pretty sure kleptomania IS the reason. It's a mental disorder. Says so right at the end of that chapter that she's sent to a psychiatrist. Kleptomania is the reason why she’s stealing yes, but I’m wondering what caused the kleptomania.